Roy Rogers is launching three rollback offers throughout 2018, in celebration of its 50th anniversary. 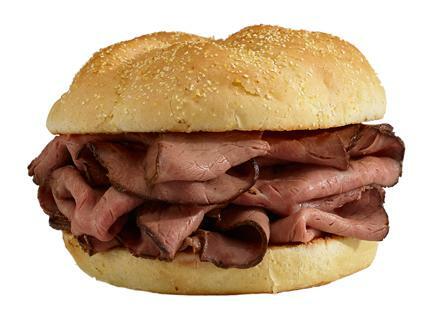 To celebrate the first Roy Rogers opening in Falls Church, VA on April 6, 1968, guests who purchase any size Roast Beef Sandwich Combo from April 6-8 can purchase an additional regular Roast Beef Sandwich for $.50. Celebrating Memorial Day Weekend from May 25-28, guests who purchase any size Double R Burger Combo can purchase an additional regular Double R Burger for $.50. Lastly, from July 6-8, guests who purchase any size Gold Rush Chicken Sandwich Combo can purchase an additional regular Gold Rush Chicken Sandwich for $.50. WHO: Roy Rogers, an all-American, quick-service restaurant chain known in the industry for serving fresh, sliced to order, USDA choice top round slow roasted roast beef, fresh, hand-battered and breaded, never frozen, fried chicken and great tasting burgers with locations throughout the Mid-Atlantic region. Based in Frederick, Maryland, the Plamondon Companies own and operate 24 Roy Rogers Restaurants and oversee 30 franchise locations in the Mid-Atlantic region. Roy Rogers Restaurants are known in the industry for serving USDA choice top round roast beef, hand-breaded, fresh fried chicken and great-tasting burgers. Unique to Roy’s is the Fixin’s Bar, featuring a variety of condiments, such as fresh lettuce, tomatoes, pickles, onions, jalapeños and signature sauces. Amenities include drive-thru, flat screen TV and free Wi-Fi. For more on our business, promotions, products and franchise opportunities, please visit www.royrogersrestaurants.com and follow us on Twitter, Facebook and Instagram.